Courtesy of Kuper Sotheby’s Itl Realty, Karla Dupre. Enjoy the Art of Living in this spectacular penthouse, appropriately named after the Composer Chopin. 2 stories of glass windows offer city & Riverwalk views. Kitchen is outfitted w/ Gaggenau appliances & optional enclosed private garage is available. Located in SA’s Arts District above the Thompson San Antonio allows for a lock & leave lifestyle. Amenities include 24/7 Concierge, 24-hr rm service, pool overlooking river w/ cabanas & bar, valet parking, assigned parking option, spa & workout facility. 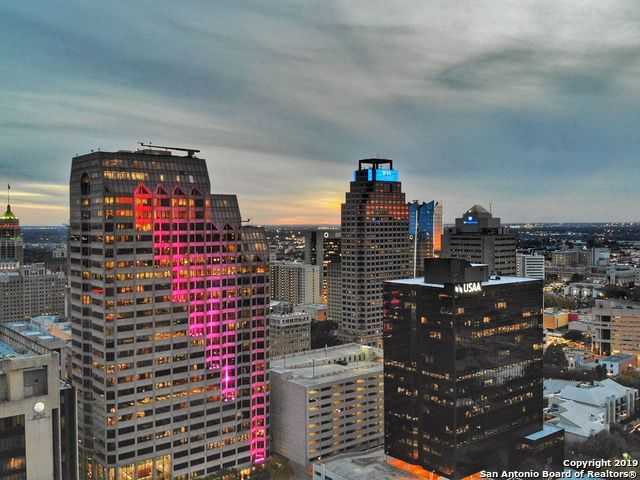 Please, send me more information on this property: MLS# 1363027 – $3,973,200 – 123 Lexington Ave Unit 1903, San Antonio, TX 78205. I would like to schedule a private showing for this property: MLS# 1363027 – $3,973,200 – 123 Lexington Ave Unit 1903, San Antonio, TX 78205.